Daphne Marlatt was appointed to the Order of Canada in 2006 and became the 19th recipient of the George Woodcock Lifetime Achievement Award in 2012. Born in Australia, she immigrated to Vancouver in 1951. Following her partnership with multi-media artist Roy Kiyooka, her associations with the lesbian and feminist writing communities increasingly shaped her writing. Her Burrard Bridge poem “after noon’s” ends with a quote from the 2011 Digital Natives electronic exhibit on the billboard at the Kitsilano end of the bridge: If you lived under this bridge you’d be home by now. In early 2006, Daphne Marlatt was appointed to the Order of Canada. Born as Daphne Buckle to parents who left Pulau Pinang, Malaysia, prior to the Japanese occupation, Daphne Marlatt spent six years in Malaysia after World War II before she immigrated to Vancouver in 1951. Her family came to live in North Vancouver. Much of her postmodernist writing would be attuned to the adjustments, struggles and accomplishments of immigrants. 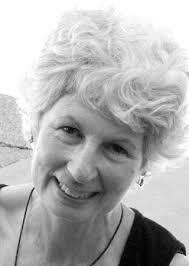 Marlatt first attended UBC (1960-1964) and completed her Masters in comparative literature at the University of Indiana (1968). Her literary associations with the loosely-named TISH group encouraged her non-conformist approach to language and etymological explorations. She was the founding editor of two literary magazines: periodics, with Paul DeBarros (1977-81) and Tessera, with Gail Scott, Barbara Godard, and Kathy Mezei, later Susan Knutson and Louise Cotnoir (1983-91). She has also co-edited West Coast Review (1988-89), Island (1981-84), The Capilano Review (1973-76) and TISH, the 2nd series (1963-65). Following her marriage to Alan Marlatt and her partnership with multi-media artist Roy Kiyooka, she experimented with fiction. Her short novel Zocalo (Coach House, 1977) is derived from a trip to Mexico with Kiyooka (b. 1926-d. 1994). As her associations within the lesbian and feminist writing communities increasingly shaped her writing, she collaborated with her partner, poet Betsy Warland, with whom she moved to Salt Spring Island. Their collaborative poetry and theory was collected in Two Women in A Birth (Guernica, 1994). Her novel, Taken (Anansi, 1996), set against the twin backdrops of the Gulf War and World War II, details the estrangement of a lesbian couple. While one partner visits her mother in the American midwest, the narrator pieces together her parents’ and grandparents’ histories in colonial Malaya and WW II Australia. Her earlier and better known Ana Historic (Coach House, 1988) uncovers three female lives in British Columbia, from the 19th century to the late 20th century. A contemporary woman, Annie, becomes fascinated by imagining the story of a Mrs. Richards whose name appears in the 1873 archives of Vancouver. Marlatt has received honorary doctorate degrees from the University of Western Ontario in 1996 and from Mount Saint Vincent University in Nova Scotia in 2004. In September of 2004 she was appointed as the first writer-in-residence at Simon Fraser University in three decades. The program was revived by the SFU English Department and professor Roy Miki with funding from the university and Canada Council. Marlatt was previously writer-in-residence at the University of Windsor (2001-2), University of Western Ontario (fall, 1993), University of Alberta (1985-6) and University of Manitoba (fall, 1982). She was on the faculty for Writing Studios at the Banff Centre for the Arts (spring 2001, fall-spring 2000-01, fall 1999; and on the faculty for Sage Hill Fall Poetry Colloquium (1998). She currently co-directs the annual Banff Writing Studio. Having lived for a time on Salt Spring Island, she now lives with her partner, Bridget MacKenzie, in Vancouver. At the River’s Mouth: Writing Migrations by Daphne Marlatt, a book designed by Robert Bringhurst and published by the Institute for Coastal Research (ICR) at Vancouver Island University (VIU), won second prize in the prose non-fiction category of the Alcuin Society’s 28th Annual Awards for Excellence in Book Design in Canada. Collaboration has been a significant element of her career, beginning with her 1970s oral history research in the Japanese-Canadian community of Steveston and then in the multi-ethnic neighbourhood of Strathcona. Opening Doors in Vancouver’s East End: Strathcona (Harbour Publishing 2011), edited by Marlatt and Carole Itter, was the first book to be republished under Vancouver’s 125 Legacy Books Collection program. Her recent ventures into theatre have extended this element. In 2008 Pangaea Arts’ 2005 bilingual and bicultural production of The Gull, her contemporary Canadian Noh play, was awarded the international Uchimura Naoya Prize. In 2011, Marlatt completed the libretto for a new chamber opera, Shadow Catch, performed at the Firehall Centre for the Arts on Cordova Street in December of that year. The work is a collaboration with four Vancouver composers (Dorothy Chang, Benton Roark, Jennifer Butler and Farshid Samandari) who requested a Noh-based libretto for which they could write New Music scores. Liquidities: Vancouver Poems Then and Now (Talonbooks 2013)gathers many of the poems from Marlatt’s 1972 collection Vancouver Poems, in some cases substantially revised, and follows them with “Liquidities,” a series of recent poems about Vancouver’s incessant deconstruction and reconstruction, its quick transformations both on the ground and in urban imagining. In Reading Sveva (Talonbooks 2016), Daphne Marlatt responds to the life and paintings of Sveva Caetani, born in Rome in 1917, who came to Canada as an Italian émigré and grew up in Vernon. When Fascism was on its rise in 1921, she and her parents came to the Okanagan where she was raised as multilingual, with deeply indentured European traditions. When Sveva’s father died in 1939, she and her mother entered a 25-year home-seclusion out of grief. It wasn’t until her mother died that Sveva re-entered the community of Vernon where she flourished with her artistic skill as a painter and a high school teacher. Marlatt illuminates the life of a female artist and her search for belonging. Caetani’s life and art previously inspired a coffee table book, Recapitulaton: A Journey, in 1995, made possible by editor Heidi Thompson, followed by a book/exhibit edited by Catherine Harding for the Greater Vernon Museum and Archives, Caetani di Sermoneta: An Italian family in Vernon, 1921-1994, in 2003. Opening Doors (Sound Heritage, Volume VIII, Numbers 1 and 2, Aural History Program, Provincial Archives, 1979; republished Harbour Publishing, 2001). With Carole Itter. Oral history Steveston Recollected: A Japanese-Canadian History (Provincial Archives, 1975) ed. with Maya Koizumi, trans., photos by Robert Minden and Rex Weyler. Lost Language: Selected Poems of Maxine Gadd (edited with Ingrid Klassen) (Coach House Press, 1982). Feminist literature In the Feminine: Proceedings of the Women and Words/Les femmes et les mots Conference 1983, ed. with Ann Dybikowski, Victoria Freeman, Barbara Pulling and Betsy Warland (Longspoon Press, 1985). Mothertalk: the Life-Stories of Mary Kiyoshi Kiyooka by Roy Kiyooka (posthumously edited) (NeWest Press, 1997). The Gulf War becomes a touchstone for a woman’s recreation of her mother’s life in World War II Australia in Taken (Anansi $17.95) by Daphne Marlatt. The narrator’s lover has left for the United States to care for her ageing mother. In her absence, the narrator thinks how her own mother, Esme, pregnant and stranded in Australia, must have felt the day her husband, Charles sailed back into the war “to do his duty” against the Japanese. Sometimes there is a place that each of us has a certain affinity towards. It may give us warmth or make us feel safe and secure. Often times it’s inexplicable why this one location makes us feel the way we do. It may make us feel like we’re part of something bigger and that we have a purpose. Perhaps it’s somewhere we no longer feel lost and alone. Whatever the reason, it is a place where we feel we’ve come home. Daphne Marlatt has found such a place for herself. She discovered the village of Steveston in the early 1970s as a young poet. Marlatt was honored last year as the Ralph Gustafson Chair of Poetry, right here at Vancouver Island University. Her subsequent lecture, At the River’s Mouth: Writing Migrations, was published this year by the Institute for Coastal Research (ICR). ICR is an interdisciplinary research organization bringing together scholars and students from many disciplines to focus on coastal issues. The institute promotes and stimulates research and education at VIU and partner organizations that will assist in realizing their goals. The book is small and beautifully crafted. The colour and feel of the pages and book jacket bring out a tangibility to Marlatt’s descriptions of the fishing village, Steveston, located in the Fraser Valley. Her lecture, as the title suggests, is about her frequent visits—her migrations—to Steveston over the decades. “I have heard a call, much as wild geese are called southward or northward by changing seasonal cycles,” she says of her continuous returns to the once booming cannery town. Marlatt’s style is a unique combination of poetry and history. She takes her interviews with the people of Steveston, such as the Japanese fishermen, and weaves them into her poems. The end result falls along the lines of journalistic storytelling. Marlatt makes a unique connection in her poems between the way we brazenly use words without thinking about their true meaning and worth, and how we view and treat the natural world in the same manner. Not many of us would often make that kind of connection between etymology and biology. The nature of change and the change in nature are other areas Marlatt touches on. Althogh she mainly speaks of Steveston in her work, she uses the small village to speak of the world at large—it is a microcosm of the non-stop flux in every part of life and the environment. She speaks of how nature is independent of humans and how it never ceases to continue, regardless of where humans may be, an idea that is echoed by others in both the creative and scientific fields. One of the most fascinating elements of Marlatt’s Steveston works is how they have trascended multiple mediums. Of course there are the numerous books of poetry she has authored, but the first Steveston book was an oral history. There is also a radio play based on the poems and oral history, and a CD released a few years back. Perhaps the most astonishing recreation is a Noh play started back in 2002. Noh is a highly stylized form of Japanese theatre dating back to the fourteenth century. In all these efforts, Marlatt has collaborated with numerous people. She speaks of how these collaborations are the driving force behind the multiple forms of Steveston. It’s a great gift to the public and speaks of how strong her voice is and how her poems can say so much to so many different people. I am deeply honoured to follow in the footsteps of so many remarkable recipients of this award, writers, thinkers, and advocates for social justice, beginning with George Woodcock himself. Speaking of footsteps, this may sound odd, but for someone who was an immigrant child it is an unparalleled thrill to know that scores of Vancouverites will tread my name into the city’s ground on their way into and out of this library. I have many people to thank, people to whom I am deeply indebted because without them I would not be standing here. First of all I want to thank my family for their unfailing support, especially my partner Bridget MacKenzie, my sister Pamela Pedersen, my niece Karen Peterson, and my son Kit Marlatt. I want to thank my late parents, Arthur and Edrys Buckle, for having chosen Vancouver as their site of immigration in the early 1950s. And I want to thank all my writing friends for their conversation, their stimulating insight and wit over the course of many years now. I’ve learned so much from listening to each of you, and especially to the late writer, visual artist and musician, Roy Kiyooka. As I have insisted on another occasion, being singled out as the most deserving for an award overlooks the fact that writers never really work alone. It may look like that when we disappear for hours but none of my books were written alone. Like the works of other writers, mine have engaged with and relied upon, the words and thoughts of others – indeed, not only words, but the artistic skills and creative insights of theatre directors, actors, and musicians. They have been based on conversations in neighbourhoods and locales with many different persons, each a specialist in her or his field, whether it was fishing, running a café, or working in a bakery. Much of my work has been openly collaborative. Nor have any of my books entered the world without the invaluable midwifery support of many editors and publishers, nor have they found readers without the notice taken of them by critics, other writers, and librarians. In this room tonight there are poets, musicians, translators, theatre artists, editors, publishers and critics to whom I owe a great debt of gratitude. In a brief article titled “And I quote,” George Woodcock quoted himself: “Often one feels that if a true federalism survives anywhere in Canada, it does among the artists with their intense local loyalties and their countrywide links.” I like this translation of a rigid political structure into an impromptu artistic one. All such “local loyalties” grow by association and somewhat haphazardly, even fortuitously. Even though these loyalties can lead to aesthetic disputes and put-downs between different circles of artists, nevertheless they are characterized by an economy of sharing. In this province they are also characterized by an economy of improvisation in the face of a long history of inadequate funding for the arts. As most of you know, a huge amount of volunteer time and energy goes into the making of any artistic production and each is in this sense a community effort. Even though I’ve lived for a few years in the U.S. and on Salt Spring and Vancouver Island, I feel that my real locale is this city, this city and its environs penetrated by water. For better or worse this is my muse-city, a city that prompts connection with what is both material and immaterial. A city where edges blur, where streets flood in heavy rains and sewers back up, where a major river rushes down from the province’s heartland with its load of silt, where mountain creeks teem with snow-melt, bringing down whole trees on their way to the sea. We no longer have the fogs we used to have in the 50s and 60s but I remember staring from the windows of my family’s home in North Van at a city that had simply disappeared. The disappearing acts of fog have been replaced by more concrete disappearing acts, the half-block holes of redevelopment that appear routinely and almost overnight erase the memory of what was there before. This city has been, since its beginning, a rainforest city of rapid rot and quick new growth, both physical and socio-political. A city literally and metaphorically on edge, marked by holes and edges. A city whose historical centre at Hastings and Main is so edgy tourists avoid it. A city in which whole families disappear from their homes into homelessness. For better or worse this is the city that calls me to sound the invisibilities that underlie its spectacular concrete and glass monoliths. Still if this is the geographic terrain of my writing — an urban distillation of the West Coast with its islands of drowned mountains, its tidal arms washing deep inland – it doesn’t account for all that has kept me writing for almost five decades now. As Robin Blaser once said in an interview: “…whatever else art or a poem is, it’s not the world, and it’s not really going to give you the world. What it does is let you deal with the territory, and the territory doesn’t have any map.” The territory is inner, pre-verbal, a field of rhythmic energy waves materializing as words, phrases, images and in that process encountering critical concepts. That’s the immediate moment of writing. Our incessantly active brains seem to work as a kind of echo chamber for language. When I first came to Canada as a nine-year old I was fascinated not only by West Coast vocabulary (cricks, saltchuck, boonies) and by the American slang of country-and-western music on the radio, but also by the more staccato rhythms of speech around me, so different from the longer rhythms of colonial British or the graceful looping rhythms of the St James Bible and Anglican hymns of my childhood. I often misunderstood people, didn’t know the references or couldn’t catch the accent, which contributed to a lifelong sense of “not knowing” except through sensation, what the body experiences without words, as well as a puzzling together of echoes, phrases picked up from what I’d read or heard. Disjunction and dislocation can create a reach for its opposite. So I was curious about this locale and its varied inhabitants. Who were these people living alongside me? Who were the people who made this city? And who were the people who knew this terrain long before the “we” a city proposes? So, terrain and community through time, their inter-dependence: a curiosity about this has driven much of my work — from the oral history work in Steveston with Maya Koizumi, Robert Minden and Rex Weyler — to Steveston, the book of poems and portraits that Robert and I did together in the early 70s — to Opening Doors, the collection of life stories Carole Itter and I gathered among the various ethnic and racial communities that made Strathcona the neighbourhood it is. Looking for other ways of presenting the struggles of these communities, I moved more recently towards theatre with The Gull, a contemporary version of a classical Japanese Noh play with music by Richard Emmert, produced in Richmond by Heidi Specht and Lenard Stenga of Pangaea Arts. And most recently Shadow Catch, a Noh-influenced chamber opera with music by four Vancouver composers about Oppenheimer Park and homelessness, produced last year by Benton Roark of Pro Musica and directed by Colleen Lanki of Tomoe Arts. The arc of writing about the cultural hybridity of this city and its physical transformations over time, an arc that began with my fiction and poetry of the 1960s, continues still. There has been another arc, equally insistent, the arc of writing from a woman’s perspective and a lesbian perspective. This perspective inflects all my work but surfaced most clearly under the influence of the second wave of Feminism, that trans-local, international movement of the 70s and 80s. I still have a vivid memory of walking in a peace march with Maria Hindmarch towards the Burrard Street Bridge and Maria telling me with excitement about a book she was reading called New French Feminisms. That, together with an early essay by Nicole Brossard about language and feminism, an essay in the Quebec magazine Ellipse which lay on Pauline Butling and Fred Wah’s coffee table when I visited them in the Kootenays — from these moments of revelation sprang a lot of talking, thinking, collaborating and writing in the next two decades. There was the organizing work that produced the ground-breaking 1983 conference “Women and Words” led by Betsy Warland, and then the stimulating exchange of ideas over a span of some 8 years editing the feminist cross-country journal Tessera with Barbara Godard, Kathy Mezei, Gail Scott, Susan Knutson, and Louise Cotnoir — so many gifted, remarkable women. During this time, two novels, Ana Historic and Taken, were written, as well as several poetry collaborations with Betsy, plus a mini-collaboration of “transformance” poems with Nicole Brossard. The subtle and not so subtle divisions between self and other, all those others we set apart from ourselves and make somehow lesser, that gift of awareness that the feminist struggle advances — a struggle that still continues — translated itself in my mind to an equal care for the ecological web that we live within and that supports us. This concern about the irreversible damage we are doing to our environment has surfaced in much of my recent writing. Energy seems to come in waves, whether the zeitgeist of certain decades or the infinitely smaller waves of individual awareness. Energy pulses through the inherent emptiness that each one of us is — or a city is — depending from, dependent on, all the others who co-inhabit our streets, our memory banks, our momentarily writing hands.